Unfortunately, suicide is a reality in the world of Lyme disease. The number one cause of death from Lyme disease is suicide. Many people wonder why and there are several reasons that push some to this extreme fate. Sometimes, the pain and reality of living with this disease gets to be too much. Especially if one has exhausted all known treatment options and still continues to worsen and lose quality of life. Sometimes, the financial strain forces Lyme patients to lose their jobs, their homes, their marriages, their children, their families and friends. Feeling alone and having to face this disease without any support physically, mentally, or emotionally can be too much to bear. Sometimes, Lyme patients suffer from severe psychological symptoms, are alone in their experience, and have no one to talk to; no one to help them through their moments of fear and hopelessness. Lyme disease affects so many people in so many different ways; it is hard to pinpoint exactly why anyone would choose to do this. And as much as I can understand the desire at times, I personally refused to give in to the disease. I refused to let my life be overrun by a spirochete. I refused to lose myself in the symptoms and the pain. I just would not allow it. If you are at a point that you are actually considering this, I am pleading with you………..
Please….don’t…….you don’t have to do this. You CAN get through this! You can make it one more day! There is a purpose for you in this life, and perhaps it is simply to tell your story. Perhaps it is simply to love as you have never loved before. Perhaps, it is to accept yourself and your body, good and bad, and find love within you…..at your deepest sense of soul. Whatever it is, I believe that it exists within you if you are willing to see it. I believe in you…..and I care………. You are not alone. You are not the only one to have experienced the intensity of living with this disease, of struggling so much and for so long. You will never be alone in this. There are people who care. Please, feel free to contact me if you need someone to listen or to talk to. If you just need someone to understand, please know that I do, and I am here for you. If you need to talk to someone immediately, please, use the resources I have provided. 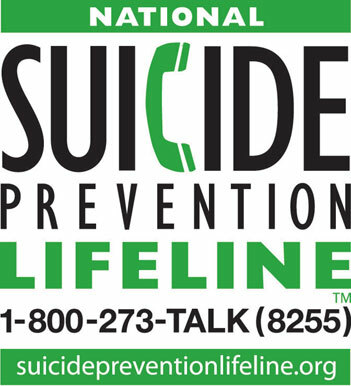 There are confidential suicide hotlines open 24 hours a day, 7 days a week. Please consider talking to someone before you consider this. Find hope and gratitude in the little things. Wake up each morning and find something that you are grateful for. It may be the color of the sky, or making yourself get up to see the sun rise. It may be a smell in the air. It may be to taste a strawberry again. It may be to hug someone as if it is the last time. Imagine all of the wonderful moments in your life that you could have missed if you had not been there to experience them. Find some reason each morning to give you hope, to lead you to love in its many forms, and to have gratitude for being alive…..for just one more moment. There is life before, during, and after Lyme disease……. Anyone can give up, it’s the easiest thing to do. But to hold it together when everyone else would understand if you fell apart, that’s true strength.